What Do I Want To Get Out Of The Basque Stage? So it’s official….. I have less than a month from when I leave the great Pacific NorthWest to start my culinary adventures in San Sebastian, Spain, as the next Basque Stage Rising Star! It has been a crazy, busy, and overwhelming couple of weeks since I have received the scholarship and I can’t imagine the my last couple weeks being any less crazy, busy, and overwhelming as the ones previous. I feel that a month seems like a long time, but I know that time will fly by and I will be sitting in a plane, heading too my new home for 3 months. There is so much to do in such little time! One thing that has been on my mind ever since I found out that I will be the next Basque Stage is what I hope to get out of living in San Sebastian, working with a great company like Sammic and staging under some of the most talented chefs, Xabier Diez and Aizpea Oihaneder, over at Xarma. So here is a list of some of the things I have came up with that I hope to achieve upon returning to my real home in Seattle after my time in the Basque Country. 1. Develop a greater understanding and knowledge of the Basque Life. I have the Harvest Vine to thank for opening my eyes to all things Basque. I’ve had an amazing 3 years working for/with some of the greatest people that have taught me so much about the culture and the food that comes from the Basque Country. One of the biggest lessons I have learned from working under my chef, Joey Serquinia, is that it takes more than knowing flavors and ingredients to cook good Spanish food. It takes a lot of knowledge about understanding about the culture and history of how these dishes came about. With living in San Sebastian, I will be able to experience all the things that I can’t from just picking up and read about from a book about the Basque Country. 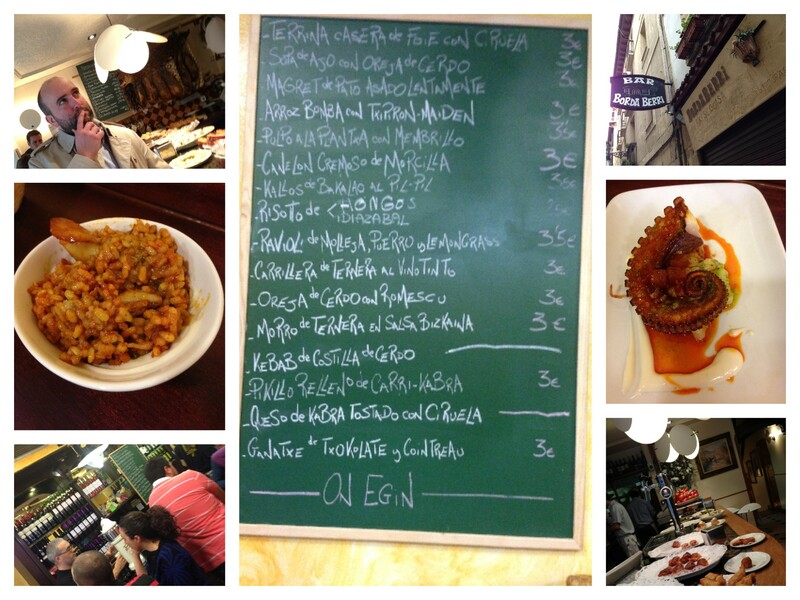 I will be able to see and experience first hand what it is like to live the ‘Basque Way’. From the people, to the food, to the farms, to the wineries, I am so ready to soak up everything. I’m just hoping that my brain and heart will be able to handle all of the greatness that the Basque Country has to offer! Everyone working in the restaurant industry or any industry actually, knows the importance of networking. With staging in Spain, I will be introduced to a whole new circle of chefs, wine makers, farmers, and companies that I just would never be able to meet here in the States. I hope to take advantage of this great opportunity and really utilize all these networks that I could really benefit from in my career as a chef. One of the coolest aspects of the Basque Stage is that it is sponsored by a great company called Sammic that develops and manufactures commercialized kitchen equipment for restaurants, hotels, etc., etc. I am really excited to work with this company and get to see and work with the products that they develop and really hope to build a strong relationship because they could be a great asset for whenever/if-ever I plan to start a restaurant of my own. (Can we say Discount!? Just Joking. =P) But on a serious note, I am very appreciative of what they do and for sponsoring such a great scholarship. I have to admit it. I’ve been a total Basque Stage Whore (pardon my language) ever since I had found about them more than a year ago. I have been and avid follower of the blogs of the previous Basque Stage winners and I was addicted to applying. I told myself from day one that I was going to keep on applying until I get it because its honestly such a great opportunity for chefs of all kinds, whether or not you are a home cook or professional cook. Everyone at the Basque Stage and Sammic have both teamed up and created something that I feel so passionate about and proud to be part of and I feel that more people need to know about it. 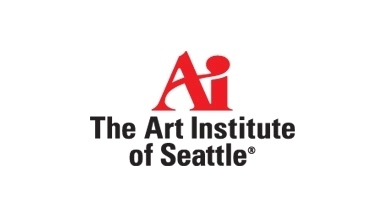 I was ecstatic to hear that The Art Institute of Seattle, the culinary school I had graduated from, was interested in getting in contact with me to hear more about receiving this scholarship. This is a good step into the right direction to let other students to know about this great opportunity that is honestly so easy to apply for. Yeah, I must admit, that it was pretty crappy the past 2 times I’ve applied and gotten so close to getting it, but persistence really pays off. Keep trying. Keep applying. Keep believing in yourself. 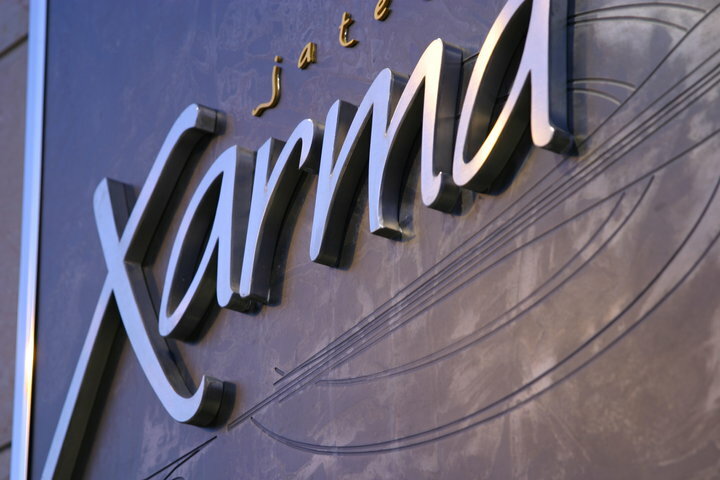 Because in the end, there is no harm in trying, especially when the outcome can be as spectacular as cooking in one of the culinary capitals in the world! And I don’t plan on just spreading the word with just students, I want to help encourage anyone and everyone. Oh, beloved Txori. Txori was the sister restaurant of The Harvest Vine that sadly closed down in 2010. It was the first restaurant that I had my first real bite of real Spanish food. This was the restaurant where I started my culinary career as an intern that eventually lead into landing a job at. Quite possibly one of the best jobs I have had in my life. It was here I knew I wanted to pursue cooking Spanish food. 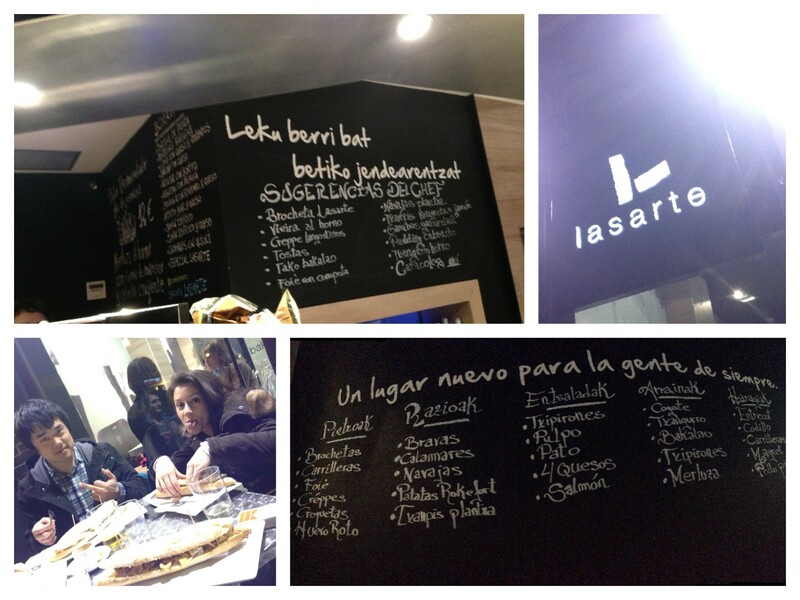 Txori, which means “bird” in Basque, was a bar that served the traditional Basque tapas known as “pintxos”. Pintxos are basically small bites of food that are usually served on a sliced piece of toasted bread or pricked with a skewer that have became popular in San Sebastian. I feel that these are the type of bars that America need to adopt more of. There is so much to love about the concept of eating small bites while sipping on a nice glass of cava or albarinio and conversing with fellow patrons.I am most looking forward to pintxo bar hopping and really get to see what a real pintxo bar feels/looks/smells/tastes like. I want to take these things back because I feel that people need to know the greatest of Pintxos! Re-opening Txori has been something I’ve always wanted ever since the day their doors have closed. But I’m hoping that with this Stage that it will maybe cause a spark, an idea, even a small thought of maybe re-opening those doors to something that not only I, but so many others, have grown to love. And whenever the time comes, I will drop and stop everything I am doing because this is something I really want, no, need to part of. (*hint hint* Carolin ;] ). So of course it’s going to be great to share my experiences with friends, family, all you following my blogs, and so on. But honestly, one person I’m really hoping to share this experience with is my daughter, Tegan. She is my world, my mini-me, my pride and joy. Its going to be the hardest thing I will ever had to do being apart from her but everything that I do, I do for her. I have always known that with working in this industry, I had to be willing to make a lot of sacrifices. It’s quite a big sacrifice I’ve had to make, but in the end, it’ll all be worth it. I’m going to gain so much out of it, but what I will be gaining the most is a story for her of how her dad has fulfilled one of his dreams and that if you work hard and keep trying, you will be capable of doing anything. I want her to know that someday, I hope she will be able to do something like this and be able to share her stories with me. No matter what, I will always be there for her and will support her in anything she wants to do. My First Post As A Basque Stage! This is my official first post as a Sammic and Basque Stage Rising Star! 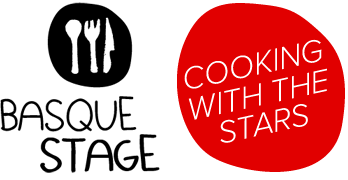 For those who are unaware, the Basque Stage Rising Star Scholarship gives the opportunity to a lucky aspiring chef to the Basque Region of Spain to work with under some of the most prestiges chefs in Spain for 3 months. It was merely a week ago when I had received an e-mail with the subject titled “*Important*”. Usually I overlook these e-mails and proceed to send them to the trash but this one was from Marti (check out her blog, Blank Palate, its super dope! ), one of the coordinators of the Basque Stage, so I knew that the e-mail must have been pretty important. So I sat up and prepared myself to read what could be one of the most important e-mails in my life. My heart dropped in disbelief. Still to this moment I have a hard time believing that I am the next Basque Stage Rising Star. The feeling is unreal. This must be what it feels like to be on the top of the world. I have to thank my work family at The Harvest Vine. Working there the past 3 years have been so great and has filled me with so much love for all things Basque. 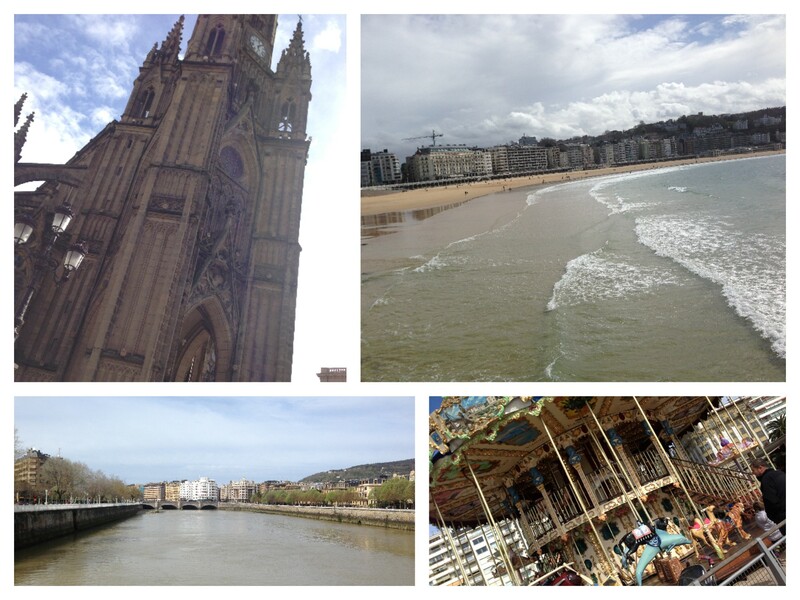 I can’t wait to come back to show all you guys all that I have learned in the Basque Country! A very special thank you to my girlfriend, Staci. I know it’s been really hard to watch me reach for something that involves me to be away from our beautiful family, but it means the world to me that you support everything that I do regardless of how selfish things may seem. It’s been a very stressful week figuring out what’s going to happen, but I can’t thank you enough for taking this crazy ride with me. You and Tegan mean the world to me and everything I do, I do for you two. I love you both so much. Well it’s been a very overwhelming week and the next coming weeks are going to get crazier and crazier, but in the end, it will all be worth it the moment I lay my first step in San Sebastian. Again, I would like to thank everybody at Sammic, the Basque Stage, and Xarma for this opportunity. I can’t wait to fully embrace the life in the Basque Region and be able to share my experience with the world! P.S. Please check out the current Stage’s, Susy Santos and Clifton Su, blogs. They are both very exciting reads and just get me even more excited for my turn in the Basque Region!